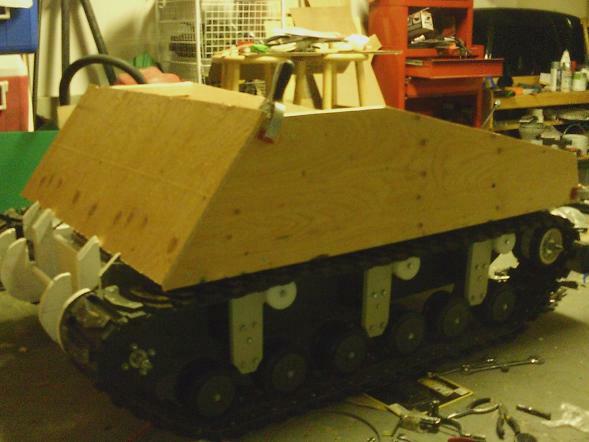 I have been working on the parts of the front body piece, where the gunner hatches extend out of the hull. 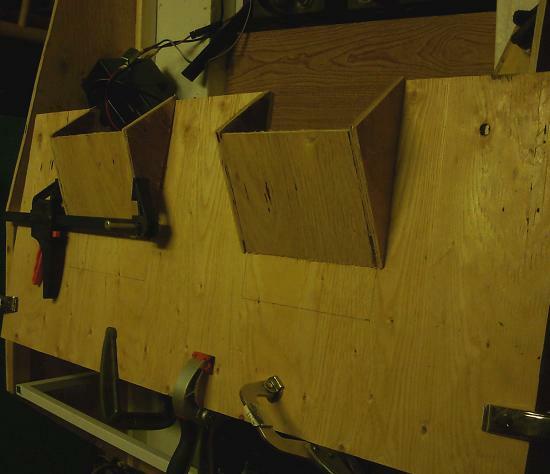 These won’t look like much, until I do more steps later, and finish the tops of these hatches. I also began working on the fiberglass nose piece. 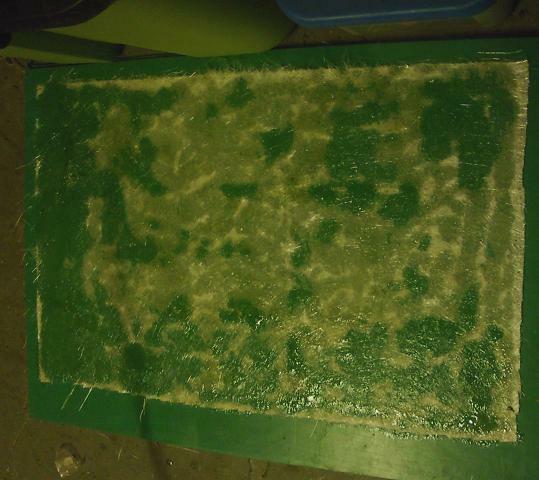 First I layed out some fiberglass cloth, and soaked it with Resin. 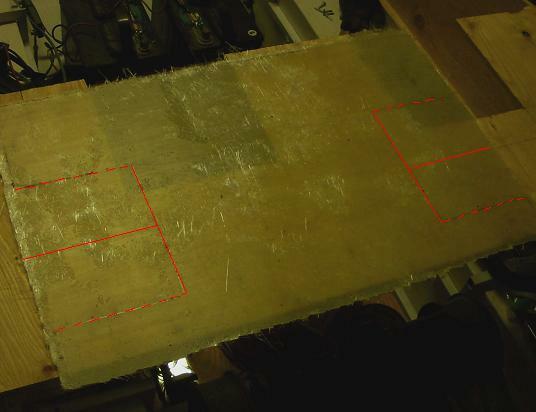 I layed it on a piece of UHMW (green) because once it dries, nothing sticks to UHMW, so I could simply peel it right off. 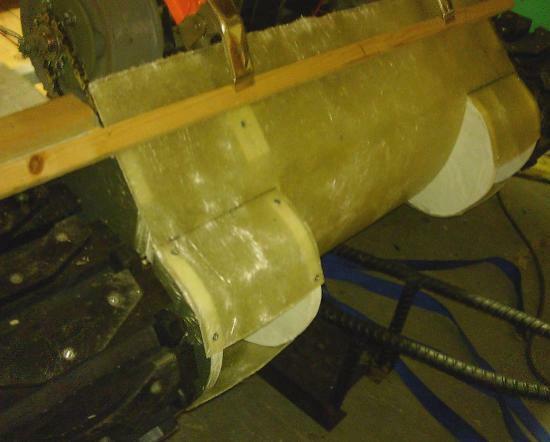 Then I layed it on the front area, clamped it in place, and began curving it, and temporarily screwing it in place. I will next add more layers of fiberglass, and finish the areas that bump out, and once done, it should hold this shape, and be a nice removable nose piece to access the drive system. After my fairly successful test drive, it’s time to move forward, by wrapping up the interior details which are part of the lower hull. Things like chain tighteners, gas pedal, seat, etc. 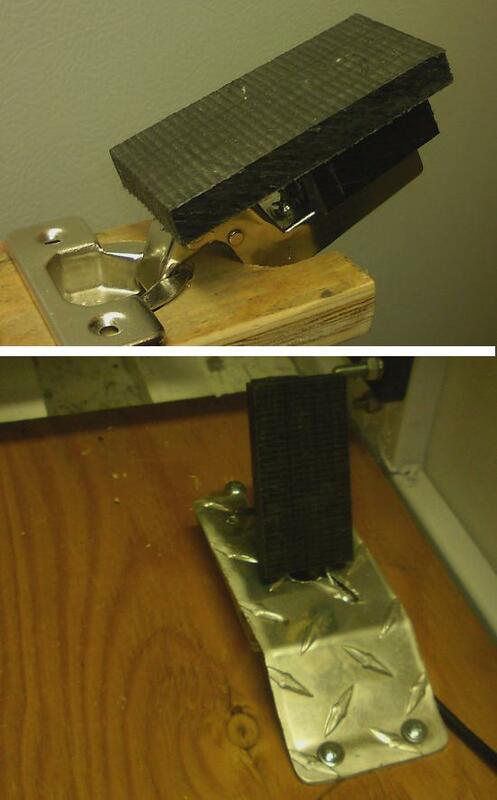 Here is the gas pedal, made from a cabinet hinge, a scrap of plywood, and a scrap of UHMW for the pedal. Currently working on attaching the other end of the cable to the speed controller lever. 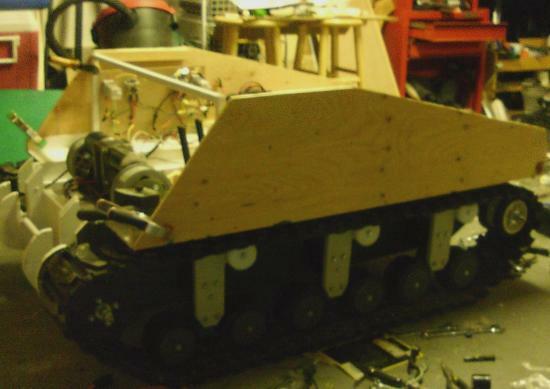 I am also starting fit some of the body panels for the upper hull. 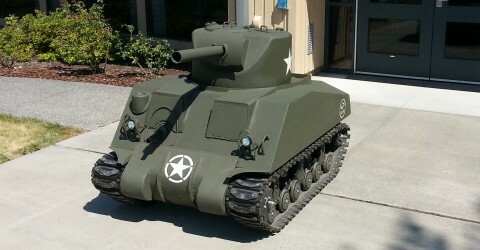 I am doing this now, because (a) it’s fun and makes it look like a tank and (b) to finish some of the interior, I need to have those panels in place for proper fit, measuring stuff, etc.